Finally caught a Bullet ! I finally found a Bullet in Wilsons garage in AD.... i guess you can say perseverence pays ! Would you go to Afghanistan ….. not once or twice but over 7 times in past few years ? I guess you are thinking twice ! – Well meet our new member of Silver Bullets – Jose Kaithan who’s done it officially (He wd luv to go there on a Bullet someday !)! 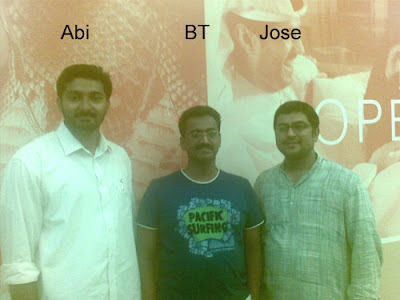 Jose owns a RE Standard 350 in Kerala! Jose turned up with family. Silver Bullets – First ever International meet or the Middle East chapter meet was real cool though we could not get much time. We could just have the intros done. I traveled down 100km + from Abu Dhabi to Dubai to meet the guys. 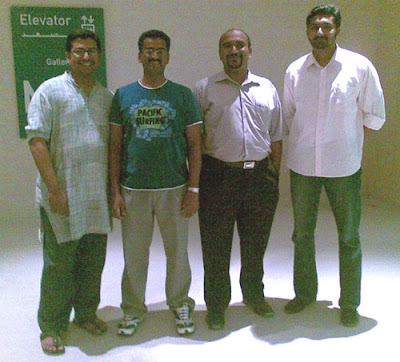 We met at Mall of the Emirates, Dubai. Abi Mohammed, into Telecom solutions out here turned up first, with his pal Shanavas. Abi owns a RE Standard 350 in Trichur. 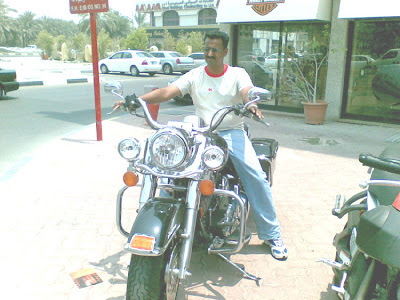 He maintains his bike so well that without being used for a year, when he starts it, thumps to life in 5th kick! All without going to a mechanic. I guess that speaks for the Bullet’s reliability! We talked a few things about the Bullet, gazed around at the malls. 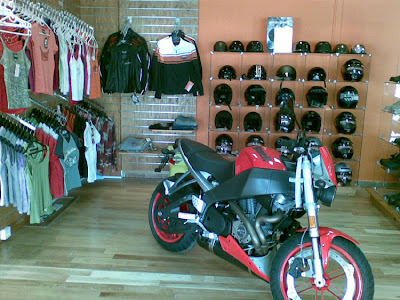 Motocity is a showroom in Dubai where RE Bullets are sold. We decided to check and confirm it by the next meeting. I had to rush back because, the guys I had come with (Chris) had to go back. Ayush turned up late … battling the Sharjah Dubai traffic. Well after the Intros and some snaps … I had to rush. 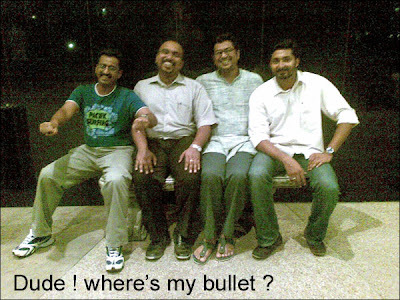 All in all it was great meeting guys with Bullets in their minds! 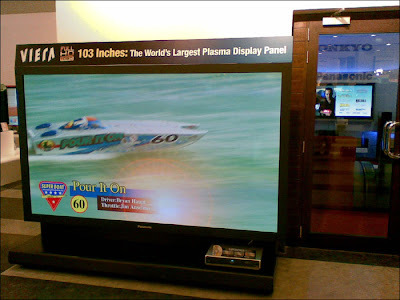 Passing by - Below, the Worlds largest Plasma TV - Its the size of the door ..see! 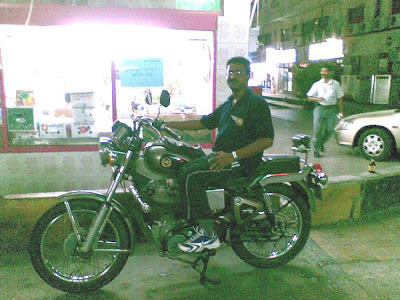 Maybe I could not have asked for a better Independence day gift than touching a Royal Enfield Bullet here in UAE ! 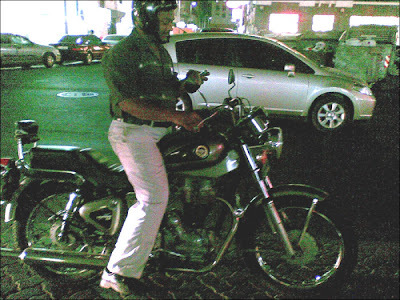 Some of you might recollect that I had seen a guy ride a RE 535 city bike and had mentioned it in my mails. As I was strolling for dinner I heard the familiar thump of the Bullet. I turned around – Voila, RE 535 - the same guy I had seen earlier. He cruised slowly. My pal Chris said. - Go get him. He mysteriously stopped by the side of the road. Im wondering if the RE Bullet stopped on seeing me or was showing the colors of maintenance ;-) . 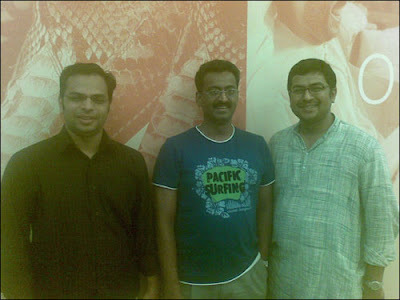 I got talking to him, showed my RE T shirt…some coincidence I was wearing it at that time! His name is Ibrahim. Hes working in the Construction Industry. He had bought the Bullet secondhand. 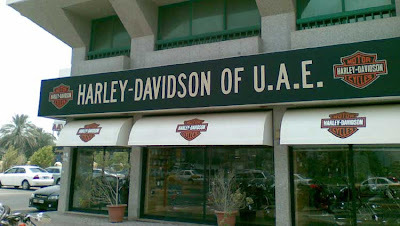 He said theres no Bullet showroom in Abudhabi, but there a Bullet specialist mechanic called Wilson, who imports parts from India and you can ride you Bullet here !!!!! . I have his cell no.He thumped away,saying he would be leaving back to India shortly. Well guys…… I hope I get to see some Bullets when I meet Wilson some time soon. 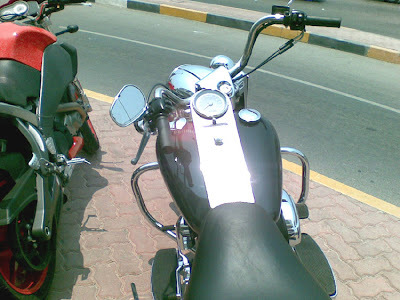 I guess this was my Independence Day Ride on the Bullet. Hope you guys had a great ride too. 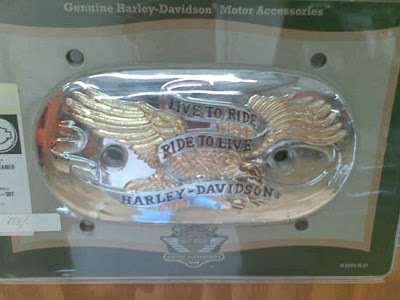 RE must do the Harleyway !!!!! All companies yearn for their products to get a Niche market or a cult status and they know there is growth, profits and sustainability in that path. 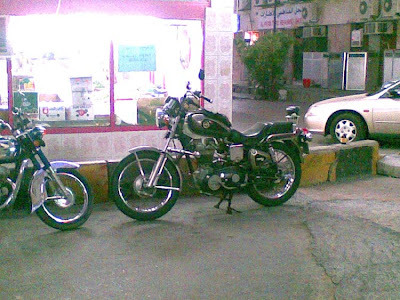 The Royal Enfield Bullet is one of those bikes and my favorite too. But I always feel that they don’t do enough to justify and promote their Brand of motorbikes. 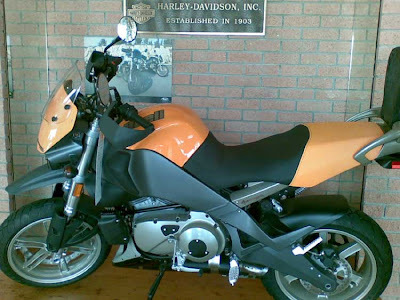 All of us have heard of the Harley Davidson motorbikes! 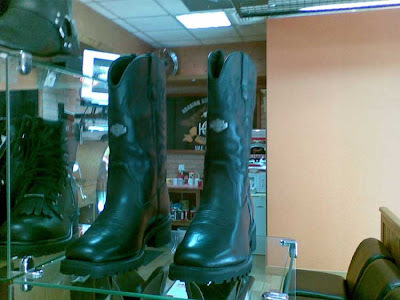 I visited their showroom in the Middle East to check them out. Beyond doubt it was a great experience for me! I do feel that Royal Enfield could pick up a few tips from them on how to promote their bikes. BT on the Harley ! 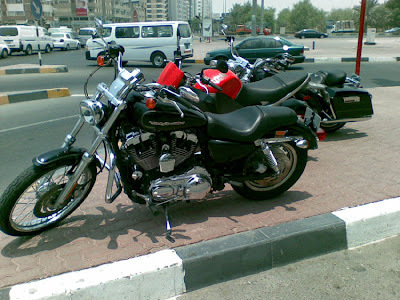 It was a thrilling moment when I sat on the Harley. Comfortable it was and real solid! I somehow felt it was easier than straddling a RE Bullet between your legs. 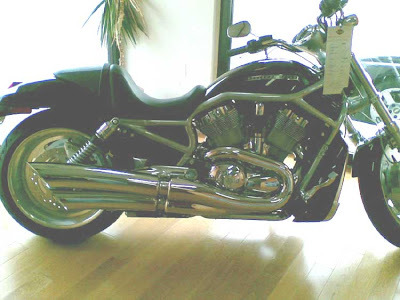 Probably, my feeling that if you can master riding a RE Bullet with brakes left and gears right – and have enough talent to kick start it to life in one soft kick … U are the BOSS! 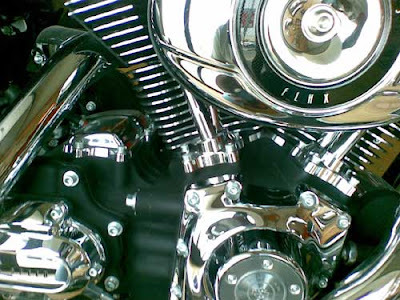 Going Chrome all the way ! Giving it right BACK to the Sun ! 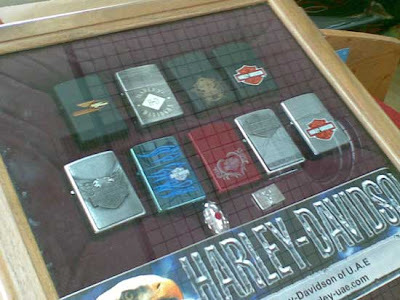 Collectibles - lighters for the Smoke Hard ! 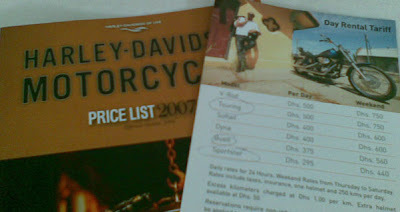 Price list 2007 - HD Catalogue! 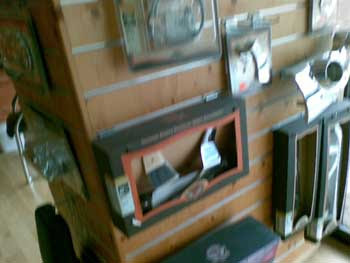 They Harley showroom has friendly staff and great stuff which we all would like to have. 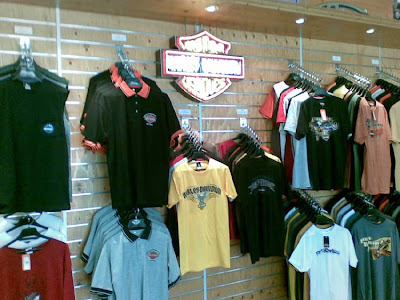 Besides the Big bikes, you get every thing to start out on your ride – Riding gear to spares to more Harley branding stuff - T shirts, key chains, lighters, shoes ,stickers for the bikes and all this makes you feel you are in a different league. Why cant RE do such things? Or are they hell bent on making the Bullet an antique? 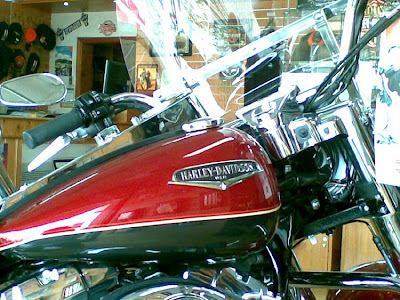 To promote riding Harleys, you also get Harleys on rent at the showroom – if you can’t buy it now ….no probs, then rent it Dude! 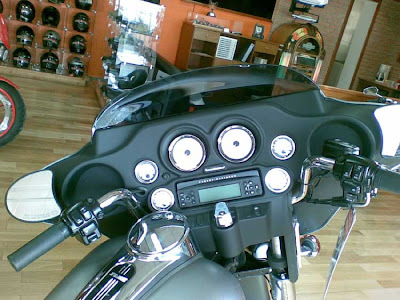 Most buyers rent the bikes out and try them before buying a particular model – You can see to what extent HD goes to get people to ride their Harleys! RE Guys! You too can do that…..only if you want to!